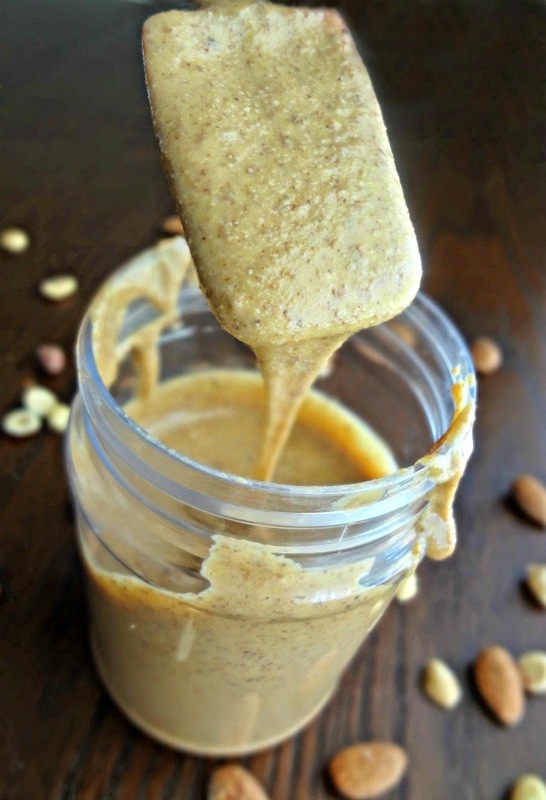 MAKING HOMEMADE NUT BUTTERS IS REALLY REALLY RIDICULOUSLY EASY. Throw nuts in food processor (or powerful blender). The only time it might get a smidge more complicated than that (which is still insanely easy) is if 1. You decide to add in other stuff like chocolate, honey, salt, etc. Which involves--throwing those things in with the nuts. Again...that's it. OR 2. If you're using a drier nut (such as almonds) you may need to pour in a little oil (olive oil, peanut oil, canola, coconut, etc.) That's all. I'm not kidding when I say ANYONE can make this. 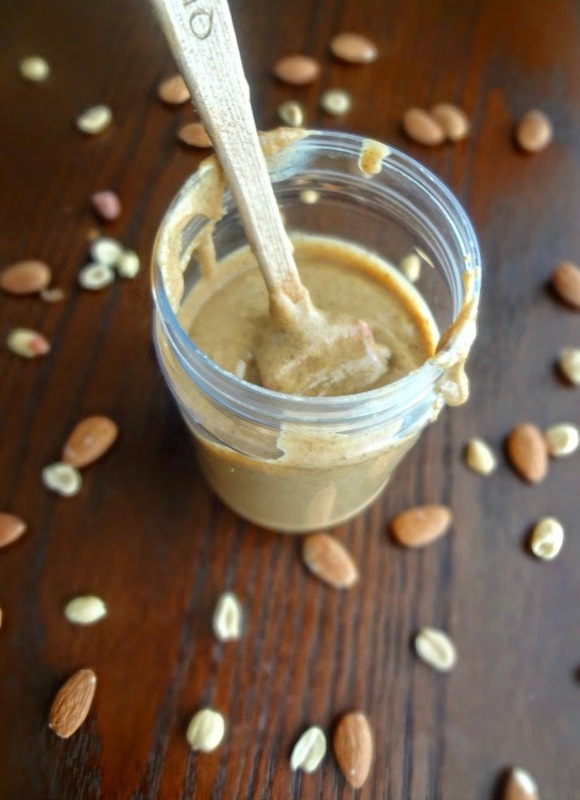 Now, although this nut butter has almonds in it-it is paired with the very oily peanuts which means this is a super duper easy one. I just put the nuts in there, let them go, then I had tasty tassssty almond peanut butter! 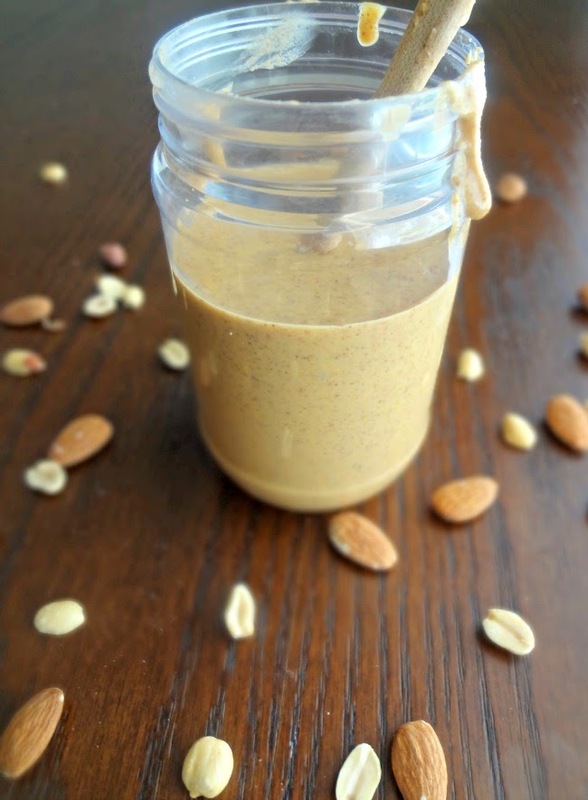 Enough about how easy it is to MAKE this almond peanut butter, let's talk about how easy it is to LOOOVE to eat it! Before I moved to NYC I had never had a nut butter other than peanut butter-heck, I didn't even know they existed! One day someone mentioned how almond butter was healthier and I tried it and was like "Eh it's good but not as good as my good 'ole pb!" As I've already mentioned, almond butter did grow on me. However, it could never replace peanut butter in my heart. But now...I DON'T HAVE TO CHOOSE! 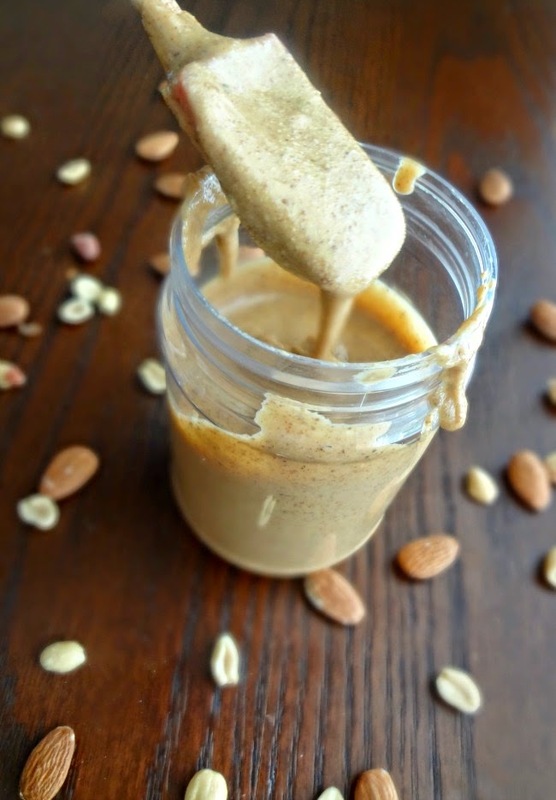 I get all the best flavors of almond and peanut butters in one place, and the health benefits of the almonds get in there too. Really....I can't think of a better thing to spread on my toast. Or waffles (speaking of which, keep an eye out for a particularly special waffle recipe next week!). Oooh or maybe bake in cookies?? Place almonds and peanuts into a food processor (or very high powered blender). Process until the nuts become crushed, eventually form a ball, then break down into a gritty nut butter, continuing to process until it has reach desired smoothness (the whole process should take approximately 5 minutes). Pour into an airtight container and store in the refrigerator for about a month (will keep at room temperature for 1 week).